We have been surprised at how much wood waste has been generated at our construction site. 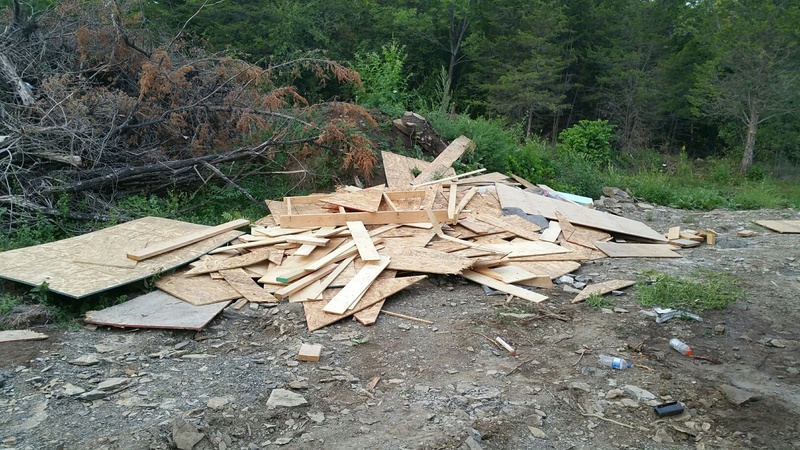 We had expected to see on the waste pile pieces that are too short to use and the bent or broken pieces but, in addition, we are seeing many boards and sheets of plywood that seem to be perfectly fine with the exception of a few nails in them or perhaps not quite the right size. We are told that the cost per hour of framing crews is too much for them to spend time taking nails out of boards neither is it worth the cost for our contractor’s crew to move pieces from site to site. 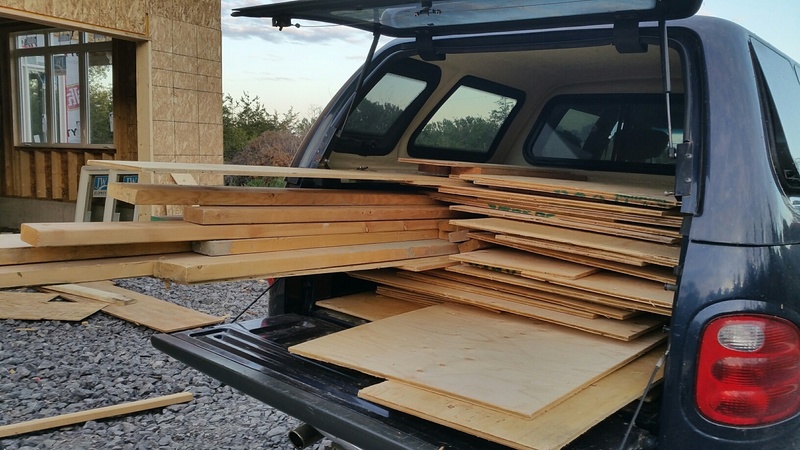 All together, we have at least a few hundred dollars worth of wood ready and waiting for these projects. Another sustainable farming project! Our farm truck is proving to be very useful. This is the second full pickup load of waste wood and we had also taken an earlier load of small pieces for winter firewood. Most of this load is plywood but there are some great 2 x 6’s and 2 x 4’s in it. The earlier load had even more of the very expensive 2 x 6’s.